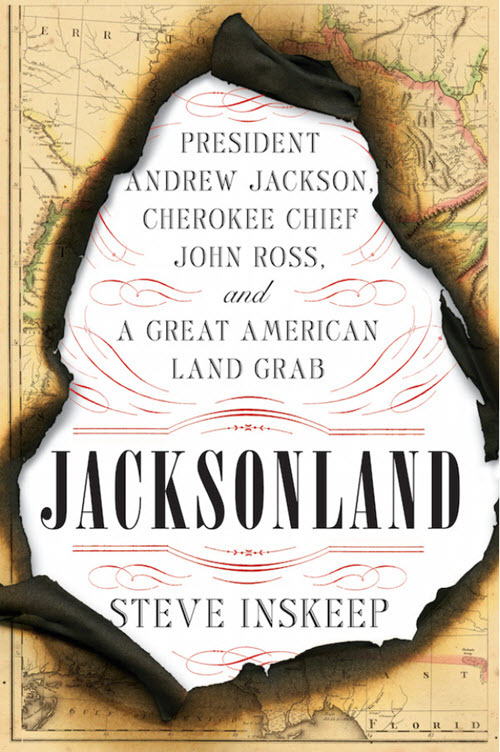 You don’t need to be a history buff to dive headlong into Jacksonland: President Andrew Jackson, Cherokee Chief John Ross, and a Great American Land Grab (Penguin Press, 2015), Steve Inskeep’s riveting masterpiece of two influential men who held radically opposing visions for our country. The well-respected author and co-host of National Public Radio’s Morning Edition recounts in vivid detail the ultimate story of power, ego and greed that was played out in the Deep South (which Inskeep dubs Jacksonland) and which ultimately defined the future settlement of our nascent nation. Coming from relatively humble roots, both men once fought on the same side and later crossed verbal swords in defense of their principles—Jackson, whose desire for personal gain for both himself and his well-heeled cronies translated into immense power and control of the Union, and John Ross, a well-educated and savvy Cherokee Indian chief committed to protecting Indian territories and sovereign rights. Inskeep toggles between chapters about Jackson and Ross as he methodically lays out their personal journeys, meticulously detailing their early lives, crossed paths, and the events and battles that lead to the ultimate betrayal—the Trail of Tears. But the events do not progress in a straight line. And that’s precisely what makes this a page-turner. At stake in 1812 were the territories of the Five Civilized Tribes—Cherokee, Seminole, Chickasaw, Choctaw and Creek—whose collective territory extended from the southernmost tip of Florida, around the panhandle to Louisiana and the Gulf of Mexico to the south, westward along the muddy banks of the Mississippi River to the Missouri Territory, and north in a winding border that extended from the Atlantic Coast south of what is known today as Georgia and along the northern reaches of the Tennessee River. This was the so-called Indian Map. On the contrary, the “White Man’s Map” of the same period laid claim to everything east of the Ohio River and the Mississippi, with the exception of Florida, which was still in Spanish hands. Known to his people by his Cherokee name, Kooweskoowe, Ross was able to access the “whiteside,” as he called it, using his mixed Scottish and Indian ancestry to straddle both Indian and white political and social spheres. Trained as a lawyer, he sported the sartorial style of white politicians, cutting an imposing figure as he strode through the halls of Congress, negotiating with lawmakers to strike deals favorable to his people. There was no more dedicated and effective representative for the Cherokee, and they trusted and relied on his savvy statesmanship. But the dark side to this era of Indian relationships with the U. S. government is the backstory of Jackson’s unimaginable greed, ruthless double-dealing and consolidation of power. How he granted favors to and colluded with his associates to obtain land for their personal enrichment, while breaking promises to the Indian nations. Through personal letters written by Ross and Jackson, and a wealth of documents of the period, Inskeep has achieved an exhilarating read. Outlining the real history of Jackson’s rise to the U.S. presidency, and Ross’s hard-fought efforts for the Cherokee, the author makes it clear that given a few different conditions, the removal of the tribes might never have happened. For example it is stunning to learn that the 1835 Treaty of New Echota, in which the Indians ceded territory and agreed to move west, prevailed by a single vote, even though it had never been signed by Chief Ross or the Cherokee National Council. And that Jackson’s biggest battle may have been his health, which was so poor that frequently he was perilously close to death. 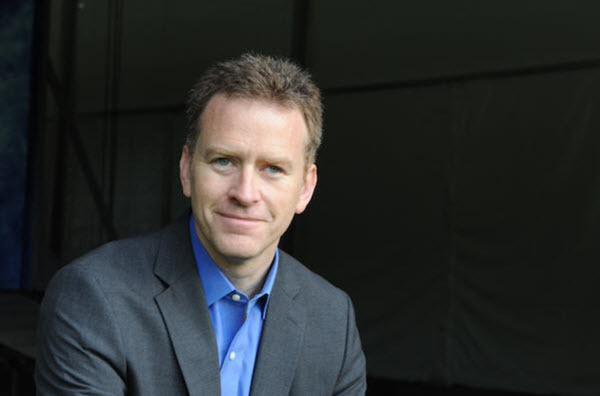 As a seasoned reporter, Inskeep has said he was driven by “the disgraceful politics of the past few years” to write this book. That passion has driven him to give us a clear-eyed and fascinating story of two influential men, one whose democratic values followed the principle of majority rule, and another who represented minority rights. But he has also delivered a cautionary tale of the machinations of the rich and powerful that especially resonates today. I just wanted to tell the whole story, and it was interesting to me to realize how little of the story I knew. John Ross was almost an entirely undiscovered character, an interesting character, and I wanted to find out what made him tick. What was your reaction when you began to discover a clear picture of interwoven greed and power? It wasn’t a complete surprise. How it worked, and why, was new to me. It’s understood that there were national security motives and patriotic motives to clear Indians out of the Southeast. But I don’t think it’s as well understood that there were also economic motives and a desire for land and a desire to expand slavery that was behind it and that really drove it. And that Andrew Jackson himself was personally involved in developing the land that he obtained as general. I came across a lot of detail that had never been put together in quite this way. There were so many moments when things could have gone in an entirely different direction, as when the Indian Removal Act won passage in Congress by only one vote. It seems the press was hugely influential then, creating stories out of whole cloth while spreading fear and innuendo about the Indians. Do you think newspapers were more influential then than they are today? Newspapers then were more influential because they were the principal form of media. There would have been around three dozen newspapers during late colonial times. By the early 1800s they were in the low hundreds, then very quickly it goes up to around 800 by 1828. Everybody read each other’s papers, and people would send them around by mail. Do you think Sequoyah’s creating of the Cherokee syllabary in 1821, and its usage in Ross’s newspaper, helped spread the word? Yes and no. The Cherokee Phoenix newspaper had articles in both Cherokee and English. And so, although it was a cultural triumph to have their own written language in a newspaper, it also had propaganda value. But the real political punch was that editors of other papers would read the Cherokee perspective of events that were different from the White perspective of the same events. How important do you think Ross’s ability to walk on the “whiteside,” as it was called then, contributed to his success as a diplomatic envoy? I think it was very important that he was able to speak English and present himself in a way that white men could understand and relate to, and that sometimes he could also pass as a white man. I’m not saying that was good or bad. It was just the political reality of the time. That could also be used to undermine him, though. And it was also used to challenge him. Cherokees didn’t challenge his status as an Indian, but whites would undermine his racial credentials and say he wasn’t Indian enough. So sometimes it was a double-edged sword. The most important thing was that he was literate in English, could write his own letters and make his own demands, and was not dependent on an interpreter to get across all the nuances of what was intended in agreements. Others who signed treaties may not have known what they were signing. Ross understood the terms and the wider political context of what the Indians were being offered. What do you think was Ross’s greatest success? I think it was when he blocked Jackson from grabbing two million acres of land, even though later Jackson went around him. At the end I don’t think it’s widely understood that before the Trail of Tears, Ross improved the terms under which the Trail was to be undertaken. He managed to keep the Cherokees together and get more than $6 million for the land. Though that was not what it was worth, it was substantially more than what the government was offering. At the same time Ross managed to keep the Cherokee government together. All along he was innovative in the use of democratic tools in a way that adds to our democratic tradition and foreshadows a lot of things that civil rights leaders did a century or more later. In the end, if the tribes had held together and not sold their lands, do you think there would have been a larger war? We have an answer to that. More or less, yes! We saw it happen in Florida. There was a war that lasted for years. Thousands died, U.S. soldiers, civilians and Seminoles. We’re talking about a really awful conflict for its time, and that, I suppose, would have been the alternative. In Alabama there were Creeks who did not want to go away, and there was an insurgency there in the 1830s. You could have had more devastating wars. There can’t be any doubt about what the result probably would have been, because even if they were all united, they were so outnumbered by then. Had they united in some effective way, you could have had a different course of history. But they didn’t, and when there was an attempt to unite them under Tecumseh, it didn’t turn out very well for the Indian side in the end. During your extensive research, what surprised you most? I had no idea that the Cherokees had done so much in their own defense. I think that has been overlooked, even by accounts that were sympathetic to the Indian side. I think Indian removal has often been portrayed as an argument among white people, though there were people who were for it and people who were against it. I’m not sure that the Cherokee participation in the emerging democratic life in the United States has been recognized in the way that it should be. What would you say are the parallels to today’s struggle for civil rights? I think some of the same techniques John Ross used were those used by civil rights leaders in the 20th century. Cherokees decided they needed their own newspapers, as did African Americans. They also both realized they needed white allies, and both groups reached out to the religious communities to get some of those allies. Both groups fought in Congress, and both fought and won before the Supreme Court. In the end though, the Cherokee efforts and victories did not do them a lot of good. While by no means perfect, by the 20th century, racial attitudes were changing and improving, and it was becoming less and less acceptable to argue that there were entire racial groups of people not entitled to become full citizens of the United States. In the recent campaign to put a female icon’s image on American paper currency, would you prefer to see Jackson removed, rather than Hamilton? I wrote an article for The New York Times recently in which I proposed that John Ross should be on the twenty-dollar bill and Andrew Jackson should be on the flip side. I think there should be two characters on every bill. Each pairing should be people who relate, so that they tell a story about our democracy and about imperfect people fighting it out about our democracy. Abraham Lincoln could be paired with Frederick Douglas. Ulysses S. Grant on the $50 bill paired with Harriet Beecher Stowe. It would give a greater sense of this grand democratic story that we are all a part of, and the way that different kinds of people participate in that story and have influenced it over time. Jackson and Ross were not perfect people. They were people who fought within the democratic system. The writing team of Bob Drury and Tom Clavin are best known to their readers as American military historians. Noted for turning out impeccably researched chronicles, their books range in coverage from World War II and Korea to the Vietnam War and usually grace The New York Times bestseller list. But for all their military acumen, the two had overlooked one of the biggest stories in American history: That of Chief Red Cloud, who led the Western Sioux Nation to victory against the U.S.The Heart of Everything That Is: The Untold Story of Red Cloud, an American Legend (Simon & Schuster, November 2013) was born. Before that, Drury and Clavin had been kicking around a few ideas for their next subject when they found themselves at the Marine Corps Base at Quantico as they accepted an award for Best Nonfiction from the Marine Corps Heritage Foundation. The Marine then told them about Red Cloud, chief of the Western Sioux Nation. The two were stunned to discover that the warrior in question was not Geronimo, Sitting Bull or Crazy Horse—proud fighters who most schoolchildren are taught about. 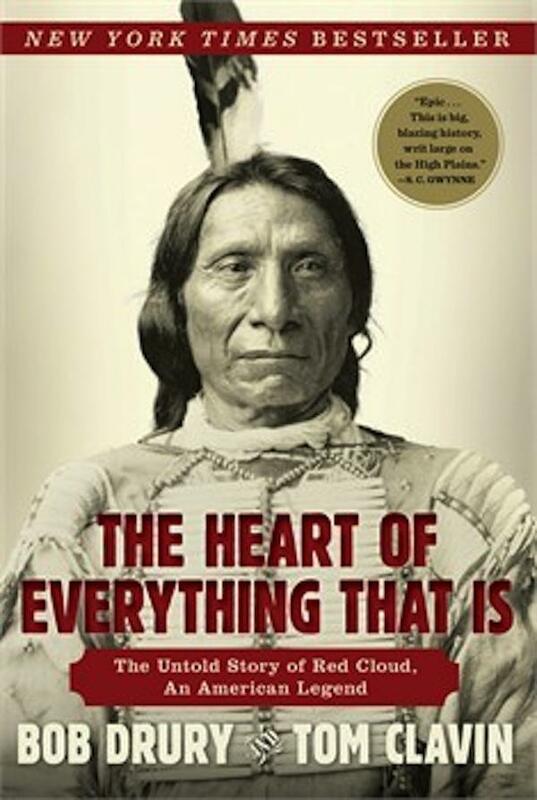 They knew then that they had their next book.The Heart of Everything That Is tells Red Cloud’s story in his own words (he related his tale to a third party before he died) and lays out a riveting timeline of the period. Your book is meticulously researched, full of the smallest details of life on the American Plains. What surprised you most in your studies of that period? Clavin: The biggest surprise was how little we know of Red Cloud in our popular culture. We know a great deal about Geronimo, Cochise, Sitting Bull and Crazy Horse. But Red Cloud wasn’t discussed at all in our history books. As we did more research we discovered stories of his exploits and of his importance in Sioux society and their culture and history. It was shocking to us that he was little more than a footnote to what we know about the American West. It’s been mostly the white academics and white scholars who have written about the Indian. The Indian point of view has been mostly through the observation of others, as with Frances Parkman’s The Oregon Trail. What drew you to the story of Red Cloud? Clavin: I was reading a description of the Fetterman massacre and Red Cloud and thought I was pretty well versed in eighteenth-century history. But ultimately when we decided to take on the story of Red Cloud, it became a four-year journey. Drury: We saw his life was rich during the period of Manifest Destiny. It told of a way of life that had gone on for a millennium. We were accustomed to interviewing living people. But what we found was almost like Twitter, everyone kept a journal back then. Tom went to all the historical societies and university libraries out west and found so many letters. Some of the documents were so fragile that we had to handle them with gloves. Reading these journals was like interviewing living people. It was an amazing discovery. For example, no one knew how the Indians ‘treatied’ with each other. Would the Plains Indians have survived without the trading posts and contact with whites? Clavin: They probably would have survived much better! The trading posts were very destructive to them. They seduced the Indians from finding their own food and clothing, which they had always done. It also introduced alcohol to them and brought diseases they had no immunity from, like smallpox and cholera. What was Red Cloud’s legacy to the Sioux? Clavin: Once he retired as a military leader and after he could see the growing military power of the white people, he wanted to be sure that the Lakota Sioux and their children had education and medical care. He was an advocate in Washington for funds and other resources to come back to the reservation. What does the book’s title mean? Does Red Cloud have descendants? Clavin: Tribal leaders have been descendants of Red Cloud, the leader of the Oglala Sioux, who was considered their leader until he died in 1909. Then it was Jack, his son, then James, his son, then Oliver Red Cloud, his son who died this past July at 93. His son, Lyman, was supposed to take over as leader, but died two weeks later. I have heard there is now a vacuum in terms of their spiritual figurehead. Do they still live on the Pine Ridge reservation? Clavin: Quite a few still do. Though some also attend school outside of the reservation and marry outside, there are still grandchildren and great-great- grandchildren living there. Drury: Well, there were so many things that surprised me. For example, we have the Alamo, the Battle of Big Horn and the Fetterman fight, which somehow had gotten lost in the mists of time. The story is about the demise of one nation, Red Cloud’s nation, and the rise of another nation, the continental power of the United States—and in the middle of it was the Fetterman fight. Another was old Jim Bridger, the self-taught trapper and explorer. Why were Daniel Boone, Davy Crockett, Kitt Carson and all these iconic figures mentioned in our American history books but not Bridger? I think he is the most fascinating character in the book because his story lends so much to the book’s narrative. He and Red Cloud lived almost parallel lives on this vast continent. During this period mapmakers described the vast interior of the country as the great American desert. But during their lifetimes we annexed Texas, fixed the Canadian boundary, defeated Santa Ana and took over many of the western and northwestern states. All of a sudden we were becoming a nation, and at the same time Red Cloud was in charge of what whites considered a nation. So it was inevitable that these two nations were going to clash. And this was witnessed by Jim Bridger and Crazy Horse, among others of the period. I wonder to this day why he is not up there in the pantheon of Western pioneers. Drury: If we had just honored that final treaty, because Red Cloud’s war never really ended, even though he signed a treaty. It still continues in the courts today, because we broke so many treaties. But if we had just honored that final treaty that ended Red Cloud’s war, this would be a better country today for everyone. So why did two white guys think they could write about the history of American Indians? Drury: My only answer is I didn’t serve in World War II, but that didn’t stop me from writing Halsey’s Typhoon and doing a good job of it. I didn’t serve in the Korean War but that didn’t stop me from writing The Last Stand of Fox Company, and I was even too young for Vietnam, but that didn’t stop us from writing Last Men Out. So in the same sense I don’t think color, age or creed matters when you’ve got a ripping good yarn. And this one’s a great saga with epic sweep. Ask Kevin Welch what he does, and he’ll tell you he’s a “professional farmer.” But he’s no ordinary farmer. 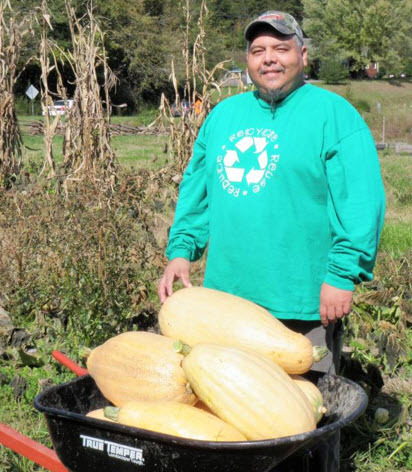 In his unique role with the Eastern Band of Cherokee Indians’ Cooperative Extension, Welch has become a nationally renowned speaker on health, nutrition and the benefits of traditional agriculture. He has served as a lecturer-in-residence at Purdue University and spoken at the University of Georgia as well as to the Association of American Indian Physicians in San Diego, California and Anchorage, Alaska, preaching the importance of traditional plants and their roles in combating diabetes, high blood pressure, heart disease and depression. But in his day-to-day life, his passion is preserving the heirloom seeds of his heritage. And that’s what makes him a farmer. In 2007, Welch established the Center for Cherokee Plants, headquartered in the Great Smoky Mountains of Western North Carolina on the Qualla Boundary. The project is funded by the Federally Recognized Tribes Extension Program, the National Institute of Food and Agriculture, and the Cherokee Choices Healthy Roots Project through the Centers for Disease Control and Prevention. Welch’s interest in preserving traditional Cherokee methods of farming, creating a heritage seed bank, and sharing with the community is known far and wide. And he regularly receives donated seeds from growers who have passed them down from generation to generation. Though some of these seeds were cultivated for centuries by Cherokees, the tradition of growing these ancient crops had been all but lost. Welch’s mission is to preserve and propagate plants that are considered culturally relevant to the Eastern Band of Cherokee Indians and to maintain a seed exchange program for enrolled members who agree to grow the seeds in isolation, thus keeping them pure, and to share 10 percent of their first harvest with the Center. During growing season, Welch’s office is an ordinary single-level white outbuilding off U.S. 19 beside a large open field where he tends to his crops on a two-acre parcel of land alongside the Tuckaseegee River in a fertile valley. On the same stretch of ground lies the sacred Kituhwa Mound—the site of the first Cherokee Village. The long concrete structure, once a former dairy, is used mainly for farm equipment, but it is here in a small room where Welch first carefully records the history and provenance of the rare cultivars. Harold Long, an Eastern Band member, and his wife Nancy are locals who have benefited from Welch’s seed exchange. Their three-generations farm is a mile higher in elevation from the valley below, and they seek out plants with a shorter growing season—plants like Harold’s mother and father grew. Along with hundreds of other gardeners, the Longs have become part of the ever-expanding circle of heirloom plant growers, and their farm a testing ground for these ancient seeds. In a recent interview, Welch spoke to Indian Country Today Media Network about the program’s promising future. We have a project calledDa gwa le l(i) A wi sv nvusing an enclosed trailer we call the garden wagon. We converted it into a space for holding educational courses. We can set it up at any venue and be ready to teach in about 15 minutes. In remote places where it’s hard to get people to a community center, we can bring it right to them. 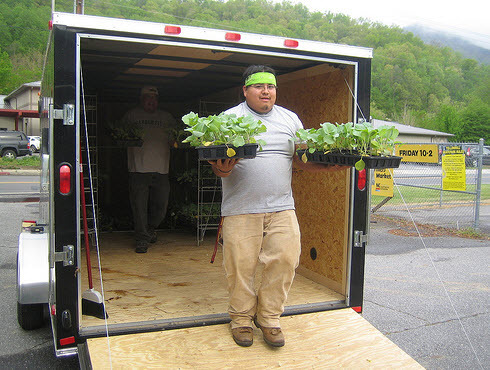 We also have a garden kit giveaway program coordinated by Sarah McClellan, project director and educator of the Eastern Band of Cherokee Indians’ Cooperative Extension, and funded for the past 10 years by Chief Michell Hicks’ discretionary fund. In addition to organizing the volunteers and selecting locations, McClellan determines all the plants and seeds we give away. How are the seeds kept? We collect them and dry them and put them in the freezer to kill off any pests. Then we sort and clean them and store them in bulk. It’s actually very low-tech. We hold seed saving workshops to teach the basics. Sharing them and planting them is the best way to keep a viable seed bank. We provide the seeds to enrolled members only. We don’t sell seeds. Sometimes I bring seeds along with me when I give talks, but then I’m mostly talking about the practical applications, local foods and agricultural education. All tribes have some aspect of agriculture—from aquaculture to agriculture to ranching. A lot of tribes, when they try to modernize, tend to get away from their traditional agricultural heritage. Who are some of the people outside the immediate community you have you given seeds to? We gave seeds to the Smithsonian’s National Museum of the American Indian in Washington, D.C. for their garden and also on the Earth Day event to the [U.S. Department of Agriculture’s] “People’s Garden” when I came and spoke about gardening. Several years ago, we donated seeds for a rare Cherokee flour corn; Cherokee Speckled butter beans; “Candy Roaster”, a variety of winter squash; and a mix of October beans, to Michelle Obama’s White House garden. And to start their seed program in the Western Cherokee Nation, we have given 24 varieties to Pat Gwin [director] and Mark Dunham [natural resources specialist] with the Cherokee Nation Natural Resources. How many different varieties do you have now? We have many varieties but we only grow out a few each year. We rotate them to build up a stock. My job is to plant, care for them and harvest them. We have quite a few folks that support our program and bring in heirloom seed that has been grown in their family for a long time. We grow varieties of tomatoes, the Cherokee Tan pumpkin, corn, beans, peppers, Jerusalem artichokes and gourds, as well as non-traditional varieties like vetch and wild potatoes from the Americas. How do you process the seeds you receive? When we get them, they are catalogued with a story about their heritage. Then they are dated and labeled. Afterwards, we grow them out to see if they are a stable variety, and we’ll take as many seeds as we can. We give away the seeds for free, because the idea is to get as many people growing it as possible, so the variety doesn’t die out. What about the stories the families tell about their seeds? That’s an integral part of its being an heirloom and being around so long. If no one liked it, then they would have not grown it anymore. I tell people that without the story of why it’s important to anyone—a seed is just a seed. This is called “memory banking”—the process of gaining the story behind the plant or behind any social construct. The same application is done for the seeds and the plants, like who grew them, why they grew them and why they liked them. Are they more disease resistant? Most open-pollinated varieties evolved because they have traits for a certain area. It really goes to soil conditions, environment, pH levels, climate—even the topography of where they come from. Basically they are grown because theyarepest and disease resistant. Sometimes people do what they call “high grading,” selecting the ones they like until they become the dominant trait. Have you found traditional and natural ways to combat pests and disease? Most of it is really basic. You can plant companion plants like beans that are a good nitrogen fixer for corn [and] squash, because its broad leaves shade out other plants for a natural weeding effect, and certain types of flowers that attract desirable insects. In winter, we collect praying mantis chrysalises that we place in the garden in springtime, where they’ll hatch out and eat the aphids. Also important is to select the right slope and drainage to prevent mildew from overly damp soils. What are the challenges to growing these seeds? The only challenge is crossbreeding and the application of pesticides and fertilizers, which we do not use here; also the elk that roam free here, or even the neighbors’ critters! Do you have fruit seeds too? Yes, we have Junaluska apples and Nickajacks—both documented as over 100 years old; Buff apples that are a variety documented to have been grown for at least 150 years; and the heritage White Indian peach, very small and sweet, that the elders really enjoy; also ground cherries and persimmons. Do you teach people how to prepare the fruits and vegetables? Most families still know how to cook these foods. It’s generally passed down from mother to daughter, though there are several cookbooks out by enrolled members. The Big Cove Community Club recently held a workshop about traditional cooking. And if you ask at the elementary school, the kids all know whatsochanand ramps are and how they like to eat bear and deer meat. Hopefully we will continue to enhance and develop our programming to reach a broader audience. We want to focus on growing more varieties and developing a program customized to different groups. One of the things we’re trying to do is to re-educate the youth so that they’ll have a set of life skills. In this way they will be able to grow their own foods and pass that knowledge along. Our emphasis will be on education and youth gardening because the children are the ones that will carry on the traditions to future generations. Originally crafted from the tanned skins of elk, deer, moose or buffalo, stitched with sinew, and in colder climates often lined with rabbit fur or sheepskin, moccasins have evolved into the preferred footwear for pow wows. Since the late 15th Century when Italians arrived on our shores and traded Venetian glass beads with American Indians, the art of beading on moccasins has become a tradition that has evolved into high art. Once simply adorned with shell, quill, wood and bone, the moccasins of today are intricately beaded canvasses that tell the story of the wearer. Fanciful designs with botanical, geometric and animal themes stitch complex motifs to reflect tribal, clan or familial influences. Styles can be short with a tongue and hole-threaded ties, or fashioned more like a ‘desert’ boot with high sides or turndown cuffs. Others might be unadorned mid-calf boots with thong ties or heavily beaded moccasins with add-on leggings, although there are countless variations of these basic shapes. Yet out of adversity can come raw determination, and for Knapp it turned into a passion for the art of Native beadwork. His enthusiasm and knowledge is palpable as he travels to pow wows around the country selling his designs, meeting up with friends and, yes, still dancing. “The pow wow community is like one big family. Everyone is your aunt and uncle and everyone looks out for everyone else,” says Knapp. It’s where he met his wife Pam and taught her the intricate skill. Together they create exquisite custom pieces from their two-person studio, KQ Designs, in Lexington, Kentucky. The Knapps bead their moccasins on brain tanned deer hide, a method of soaking the skins with emulsified deer brain oils to condition and soften the stretched hide. “The amber tone moccasins come from smoking the hides over a fire. If it’s smoked a lot, it turns brownish or a light tan. For pow wows the primary choice is white, the hide’s original color.” As for the thread, Knapp swears by waxed dental floss that he feels is twenty times stronger than nylon thread. Juanita Growing Thunder Fogarty (Sioux and Assiniboine) is another bespoke beader whose work has won numerous awards and been featured at the National Museum for the American Indian in Washington, DC and the Denver Art Museum. While living on Montana’s Fort Peck Reservation, she learned the art from her mother, Joyce Growing Thunder, one of the most prominent beaders in North America. Mother and daughter now reside in California in the same place where Juanita’s father’s people came for the Gold Rush in the 19th Century. They still refer to moccasins by the Sioux word ‘hampas’. Through the year the women prepare their crafts for the annual Indian Market in Santa Fe where Juanita has participated for the past 27 years. Joyce and Juanita incorporate a wealth of stitches in their extraordinary designs. “Some of the stitches we use are applique, lazy stitch, edging, whipstitch, Southern, peyote, brick or loom beadwork. We try to be traditional and stay within our own tribal style but we know how to do others too,” says Fogarty who teaches summer classes in beading and doll making at the Idyllwild Arts center.